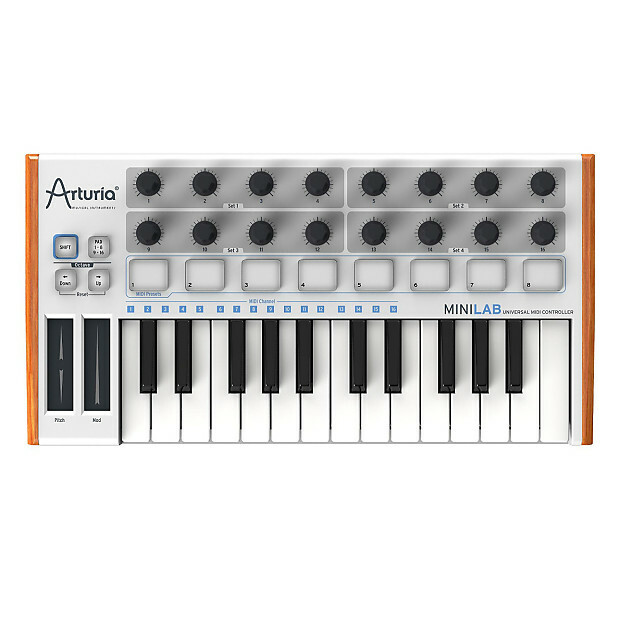 The Arturia Minilab 25 is a compact version of their popular hybrid Keylab controller series. 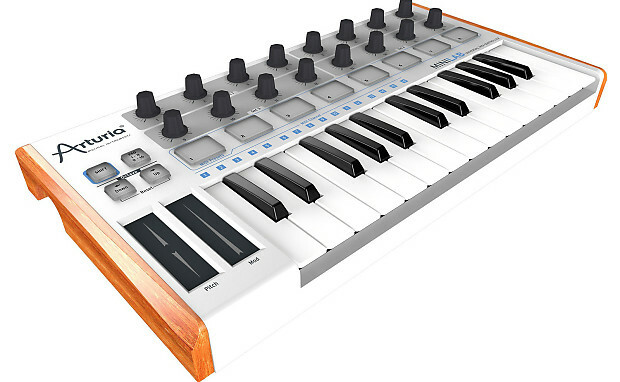 These feature excellent integration with Arturia's V Series products but also operate as high quality USB MIDI controllers with other software. 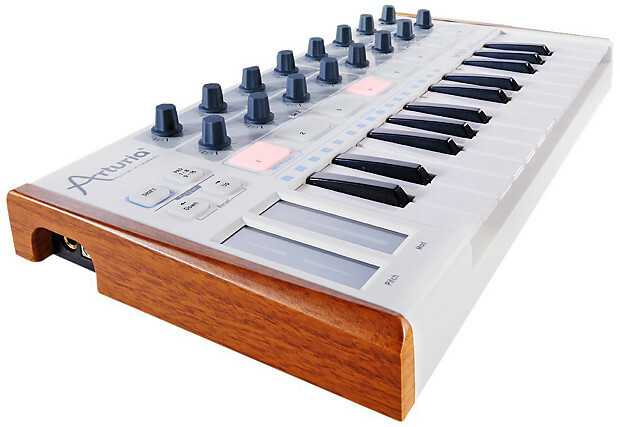 The Minilab features 25 mini keys, eight velocity sensitive pads and 16 endless encoders with two touch strips for dedicated pitch and mod control.